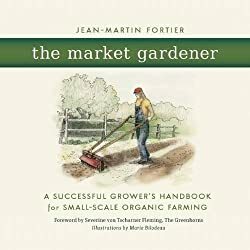 The Market Gardener is such a thorough guide to commercial market gardening that at first I wondered why Jean-Martin Fortier would want to reveal all of his secrets to potential competitors. However, it becomes clear that Fortier simply wants this information to be as accessible as possible to as many people as possible. I think this reflects Fortier’s desire for small-scale organic agriculture to thrive, and The Market Gardener certainly should inspire current and future market gardeners worldwide. I purchased this book out of personal interest, and now consider it to be essential as I am planning my own market garden. Fortier and his wife Maude-Hélène run a 1.5-acre market garden, Les Jardins de la Grelinette, in rural Quebec. As of the 2014 publication of this book, Les Jardins de la Grelinette provided vegetables to 200 families through their community-supported agriculture (CSA). They consider themselves “market gardeners” because they cultivate with hand tools, implement very intensive growing practices, and strive to minimize their fossil fuel footprint. Fortier explains that “careful planning and design, good management practices, and appropriate choices of equipment are all essential components” to the success of their market garden. In fact, due to these factors they are so successful that Fortier says that a market garden of similar scale (with diversified vegetable crops and solid sales outlets) should be expected to bring in $60,000-$100,000 per acre each year. Not only are Jean-Martin and Maude-Hélène making a good living, but their growing season lasts from March to December leaving them with three months off each year. One of Fortier’s first recommendations is to keep start-up costs low and he shares a simple budget. He also advocates for direct selling such as through a CSA to maximize profit as well as adding value to crops (for example, selling carrots with the leaves on to show freshness). Fortier convinced me that bigger really is not better in the case of market gardening without a tractor. Growing on less than two acres allows them to be more efficient and effective in managing weeds, pests, and diseases while limiting outside labor and equipment costs. 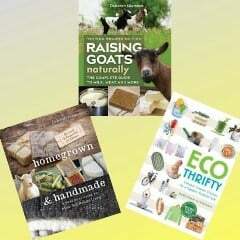 As I am currently looking for farmland, I thought that one of the most helpful chapters was “Finding the Right Site”. Fortier provides a Site Evaluation Checklist and urges prospective market gardeners to consider climate, market/customer access, growing space, soil type and quality, drainage, access to water, available infrastructure, and possible pollution issues rather than “falling under the spell of bucolic landscapes and spectacular views” when seeking land. Fortier reiterates throughout the book that profitable market gardeners must do their homework and conduct thorough planning not only when starting their farm but also before, during, and after each growing season. Luckily, Fortier really simplifies the process. He shares clear maps and explanations for how to design a market garden. One of his central ideas is that your garden layout and procedures should be standardized as much as possible to maximize time and resources. For example, all of their beds are 48 inches wide and 100 feet long so that tools and equipment can easily be shifted and used among all of the beds. As a result, many calculations (such as fertilizer amendments) only need to be made once and then can be replicated across the garden. Fortier stresses the importance of extensive crop planning and rotation across multiple years and he even shares Les Jardins de la Grelinette’s 10-year crop rotation plan. They first set financial objectives, and then use those to determine sales and production requirements to meet their financial objectives. Fortier argues that “many farmers do it backwards, establishing their production capacity first and afterwards hoping to make ends meet.” Next, he provides clear guidance about the fundamentals of production planning – establishing a crop calendar, creating a garden plan, and record keeping. The Market Gardener is a very well organized book, which takes much of the guesswork out of planning and implementing a market garden. The appendices offer additional helpful information including Fortier’s in-depth crop notes for more than 25 crops, his preferred tools and suppliers, and garden plan examples for raised bed plots, tunnels, and greenhouses. If you’re planning to launch a market garden, there’s no need to reinvent the wheel – Fortier’s recommendations and lessons learned in The Market Gardener should be invaluable. This sounds like a valuable book and I will enjoy reading it. I would enjoy learning what the author says . I need all the help I can get! I would love this book as a birthday gift coz my birthday coming soon and I am looking forward to new beginnings and new memories! 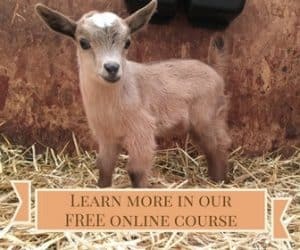 Planning on getting my backyard farm to a next level next year!